The walking tour with Denson, who grew up in the Brooklyn neighborhood and currently serves as the director of the Coney Island History Project, takes tour-goers on an hour and a half exploration of the famed boardwalk. Tickets are $25 and can be purchased here. On Sunday, April 21, free tours coordinated by the Mayor’s Office of Immigrant Affairs examines the contributions made by immigrants to the development of Coney Island. The tours, one in English at 12 p.m. and one in Mandarin at 3 p.m., also highlight immigrant-operated businesses in Coney Island. Reserve your spot for the tour here. Other opening day festivities include the annual blessing of the rides at Deno’s Wonder Wheel Park, a Coney Island tradition. Plus, the first 99 guests in line for the Wonder Wheel will ride for free, in celebration of the ride’s 99th year in operation. 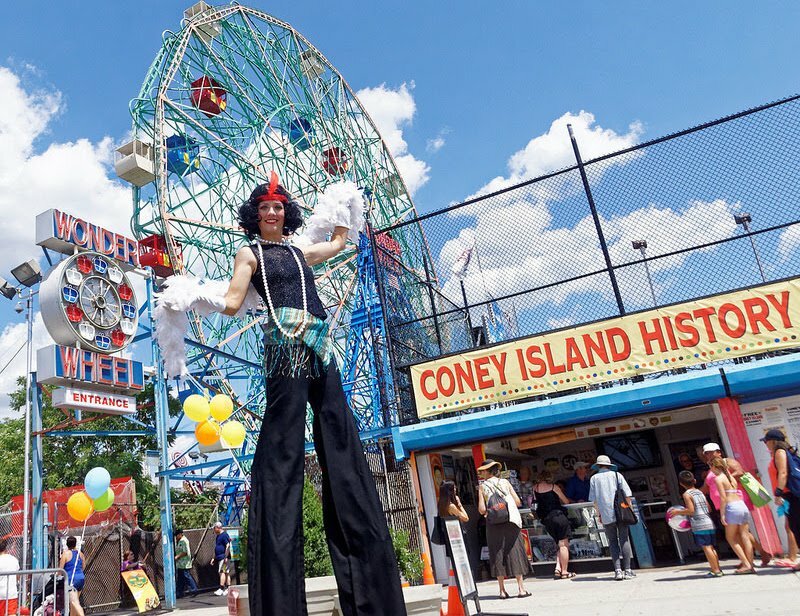 And guests are invited to explore the Coney Island History Project’s exhibition center, which offers a look at historic artifacts and oral history interviews related to the legendary past of Coney Island.